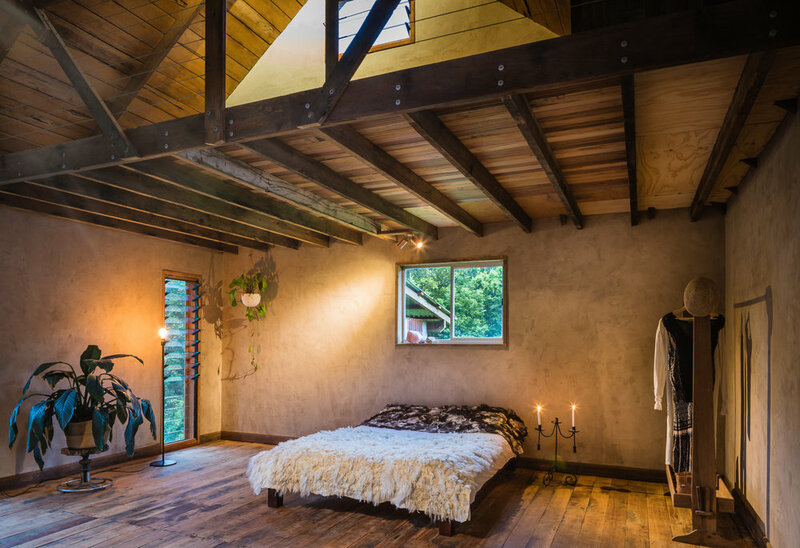 We believe the timber barn could be one of the oldest structures in Mullumbimby. It’s renovation was a labour of love completed by Balanced Earth co-founder, Ture Schmidt, for his family. To maintain the character and patina of the decades old barn, every inch of timber was diligently restored by hand, using a wire brush. The walls, ceiling and subfloor are lined with a wood fibre insulation capable of passive house performance. The board is made from waste timber, natural oils & tannins. 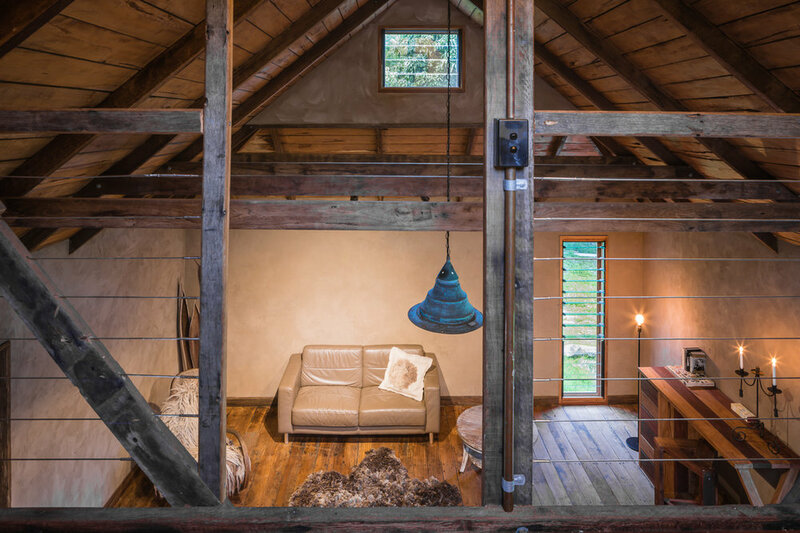 Troweled clay render breathes with the natural insulation whilst complimenting the barn’s rustic aesthetic. A small porch was added at the western side of the barn, overlooking the flood plains by the creek. It was a conscientious extension, constructed using locally sourced reclaimed timber.